The Papp Family – Marilyn, Harry and Rosellen – is well known for supporting educational institutions, culture and the arts. Marilyn and her husband, L. Roy Papp, came to Arizona in 1977. At that time, Roy, a former U.S. director and ambassador to the Asian Development Bank, opened L. Roy Papp & Associates LLP, an investment counseling firm in Phoenix. Marilyn and Roy built one of the world’s finest collections of Chinese art and have given significant works to the Phoenix Art Museum. The family’s generosity has benefited many Arizona organizations, including the Phoenix Zoo, the Phoenix Art Museum, the Desert Botanical Garden, Arizona State University, Arizona Theatre Company, Arizona Opera and Ballet Arizona. Today, Harry Papp, Marilyn and Roy’s son, is managing partner and portfolio manager of L. Roy Papp & Associates LLP. Harry is a member of the Arizona State Board of Investment, which oversees more than $11 billion of investments for the state. The nonprofit organizations he serves through board or committee positions include the Phoenix Zoo, the Desert Botanical Garden, the Phoenix Art Museum, Ballet Arizona, the Arthritis Foundation, Community Health Charities of Arizona, the Arizona Five Arts Circle, the Arizona State University Foundation and the Institute for Human Origins at Arizona State. He holds a bachelor’s degree from Brown University and master’s degrees in geochemistry and business administration from the University of Chicago. Rosellen Papp, Harry’s wife, is partner and research director of L. Roy Papp & Associates LLP. She serves on the board of directors for the Flinn Foundation, the Phoenix Art Museum and the Desert Botanical Garden. She is a member of the Arizona Women’s Forum and the Women & Philanthropy initiative of the Arizona State University Foundation. She holds a bachelor’s degree in business administration from the University of Michigan and a master’s degree in business administration from Northwestern University. Marilyn Papp passed away soon after being named a 2017 Historymaker. She was devoted to the arts and was active in many Arizona organizations, including Arizona Opera, Arizona Theatre Company, the Desert Botanical Garden, and the Phoenix Art Museum. 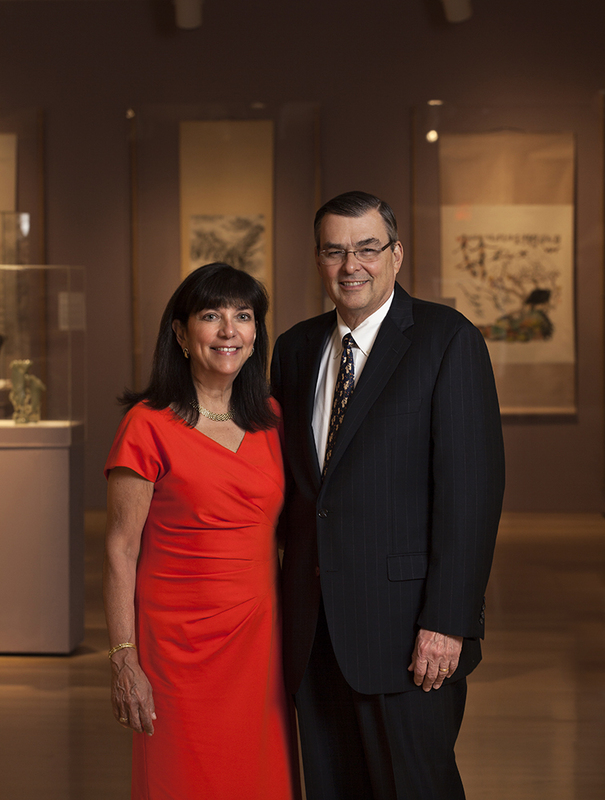 Her endowment to the Phoenix Art Museum’s Chinese Painting Program supports seminars for students of Chinese art. Other organizations benefiting from her involvement included the Arizona Humane Society, Hospice of Arizona, and Planned Parenthood, which honored her in 1989. Marilyn earned a bachelor’s degree in art history from Rutgers University. She and Roy received honorary doctor of humane letters degrees from Arizona State University. Harry and Rose Papp have been married 36 years and have two daughters.